The Iyengar Yoga method is known for the benefits that it brings to an individual’s well being, through the practice of postures and breathing techniques. It focuses on correct alignment in yoga poses which are graded in a systematic program to take the practitioner from basic preparations towards more advanced poses at a pace which suits each individual. The teaching includes asana practice (yoga postures), pranayama (breathing techniques) and an introduction to the philosophical aspects of yoga, for an all round and integrated approach. Iyengar Yoga is practised world-wide. It takes its name from BKS Iyengar who practised and studied continuously from his teenage years to age 95. In 2004 he was named in Time Magazine as one of the 100 most influential people in the world. 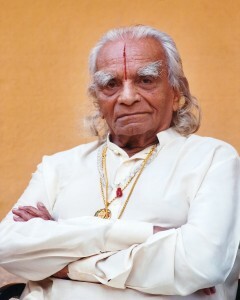 In 1975 BKS Iyengar set up the Ramamani Iyengar Memorial Yoya Institute (RIMYI) in Pune India, which has become a hub for teaching and learning his style of yoga. From this base in Pune he has reached out across the continents to bring yoga to all who want to learn. Many of us have travelled to Pune to study directly with this master, and with his daughter Geeta S Iyengar and his son Prashant S Iyengar who continue to run the Institute. Much has been written about BKS Iyengar and you can read more in his book ‘Iyengar: His Life and Work’ . He too has been a prolific writer and his most popular and influential books include ‘Light on Yoga’ , ‘Light on Pranayama’, ‘Light on the Yoga Sutras of Patanjali’ and ‘Light on Life’.